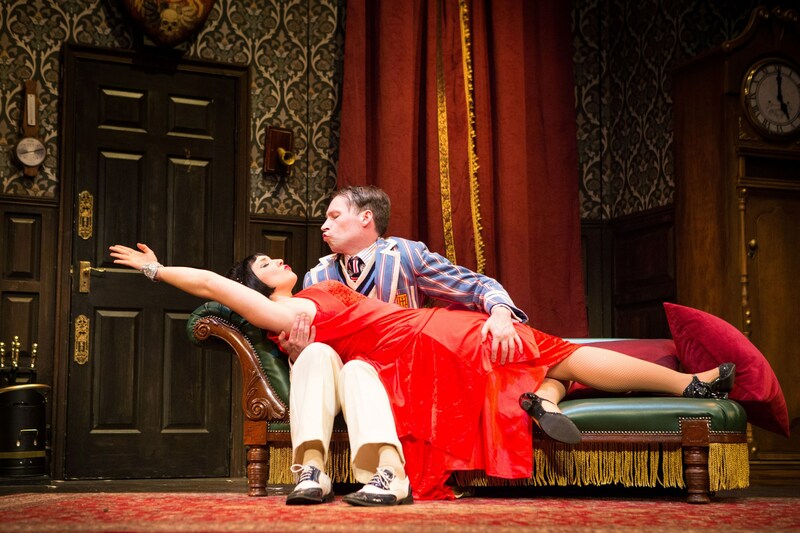 Mischief Theatre Company is the master of slapstick and its success with that medium sees the company touring its original comedy The Play That Goes Wrong. The scenario is simple – this is a performance by the Cornley Polytechnic Drama Society presenting whodunit The Murder at Haversham Manor. But the drama society has more than a few surprises in store as the performance goes increasingly awry. The murder mystery quickly takes second place to in-fighting between the cast, collapsing scenery, prop malfunction, forgotten and misspoken lines and trips, falls and even knock-outs. So that, with all the drama taking place between the cast, who cares who actually dunit? There's plenty of hilarity but where Mischief gets the balance right is in also ensuring lots of really clever twists and some lovely cameo moments when the actors, despite all that is going on around them, can still pull off some nifty stunts. In the true tradition of slapstick, the team has comic timing down to an art and is also a dab hand at adapting if the audience decides to participate. All the cast are impressive but Patrick Warner quickly wins the audience over to his side as Chris playing Inspector Carter and the increasingly distressed director who sees his work of art sinking before his very eyes. Alastair Kirton also creates some larger than life characters when Max plays both murder victim Cecil and the gamekeeper. 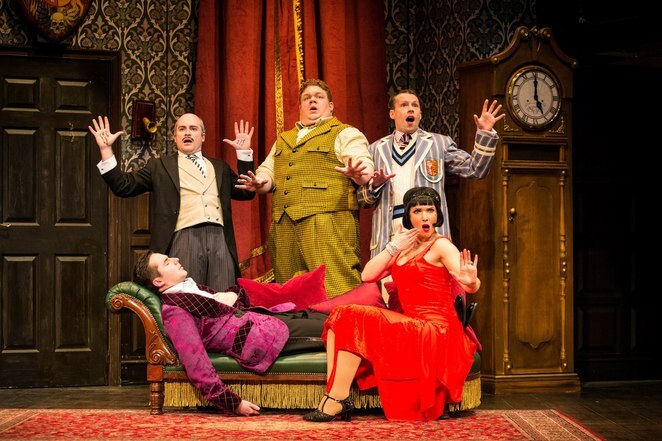 Written by Henry Lewis, Jonathan Sayer and Henry Shields and directed by Mark Bell, The Play That Goes Wrong has plenty of laugh-out-loud moments – and even when you know what's coming it still makes you chuckle. Nigel Hook's set design is perfect in its ability to collapse, break apart and generally cause mayhem. The production manages to poke gentle fun at the murder mystery, backstage jealousies, onstage antics and prop/costume/set malfunctions which all make up so much of the colourful world of theatre.